Soap making or production business is one of the most lucrative business in Nigeria because soap is a daily product used by everyone either for bathing or washing so that means that there are two different types of soap, washing and bathing soap. Soap are used everywhere, homes, offices, restaurants, hospitals, etc. and that is one of the reason the demand for it is always on the high side. For a start you do not necessary need an office you can start from your home, small scale and then grow your business to the level of your dream so it doesn’t really matter how you start all you need is a good and working business plan and feasibility study, the necessary skill and determination to take your business to the level you want it to be. Soap is a universal product and are used for washing and bathing. Soap making involves liquid soaps, detergent, bar soaps. The equipment needed for soap making are fragrances, the soap making machine, rubber, heat resistance plastic, plastic spoon, measuring spoons, stainless steel, steel pitcher, rubber spatulas, protective goggles, small beakers, a soap mold, protective rubber hand gloves, soap pot, plastic ladle etc. In this business, if you want to start small that means you start by taking your locality, those around you and what you need to this successfully is packaging, good networking and marketing skills. No one will buy from you if your soap do not smell nice and wash very well, also if it is well packaged it tell your customer that the soap is made with quality. How To Start Soap Making/Production Business – What You Need. The first thing you need to be successful in this business is a good business plan and a feasibility report. 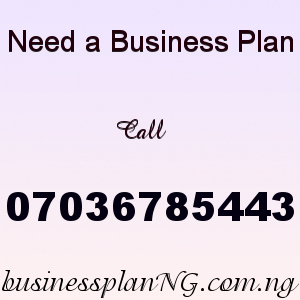 A business plan serves as a roadmap for businesses, whether you are about to start or have started you need a business plan so you can easily move your business to the next level. Registration of your business – For your business to be legal you have to register it with the Corporate Affairs Commission. Its not expensive and Corporate Affairs Commission are in every state in the country, so just locate the nearest one to you and register your business. Once that is done, you are good to go..
Capital – Your capital depends on the scale you want, if its a small scale 50,000 naira can begin your small scale soap making business. On a large scale soap making business is in millions. Equipment – For branding you will need a metallic stamp for naming your soap. You need a Safety Hand Glove, paper towel, stick blender, stainless steel or plastic spoons, measuring cup, dye, oils, scents, plastic spoons, organic ingredients, Colors etc. Soap Making & Production Business Plan in Nigeria can be used to access bank loans, proposal writing and grant applications. The business plan was complied after a thorough feasibility study on Soap making & production Business in Nigeria was done. After you have made payment for your Soap Making & Production Business Plan in Nigeria & Feasibility Study, send your email and payment details to 07036785443.